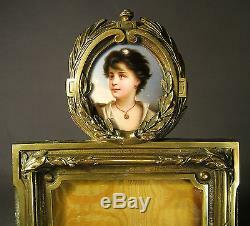 CENTURY PICTURE FRAME & FINE PORCELAIN MINIATURE INSET. 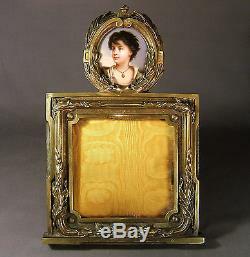 THIS IS A STUNNING SUPERIOR QUALITY LARGE PERIOD COMBINATION PICTURE FRAME WITH A FINE QUALITY HAND PAINTED ENAMEL ON PORCELAIN PORTRAIT MINIATURE INSET WHICH DATES, I WOULD GUESS, FROM THE MID TO LATE 19th CENTURY AND WAS MADE PROBABLY IN GERMANY/AUSTRIA BERLIN/KPM/KAISER?? IN GOOD VERY HEAVY GUAGE BRASS? (MAY WELL BE UNPATINATED BRONZE) IT IS DEPICTED IN AN ORNATELY RENAISSANCE REVIVAL FORM OF BEAUTIFULLY REALISED HIGH RELIEF FOLIATE DECORATED BORDERS WITH AN OVAL ABOVE (AGAIN WITH A FINE HIGH RELIEF FOLIATE BORDER) CONTAINING A BEAUTIFULLY PAINTED MINIATURE OF A VERY PRETTY YOUNG GIRL. 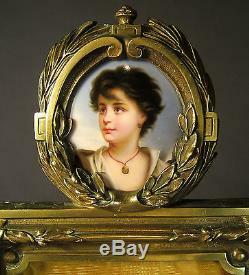 THE MINIATURE IMAGE IS SUPERB WITH THE DARK HAIRED YOUNG GIRL LOOKING INTO THE DISTANCE WEARING AN OPEN NECKED SHIRT, EARRINGS, AND A NICE PENDANT. THE REVERSE OF THE PLAQUE HAS'15' OVER'E'. 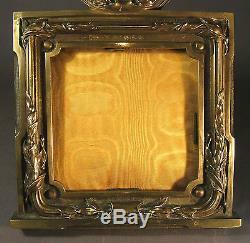 THE INTERIOR OF THE FRAME IS COVERED IN A BEAUTIFUL MUSTARD COLOURED SHOT SILK, WHILE THE REVERSE HAS A WOODEN WALNUT/TEAK? 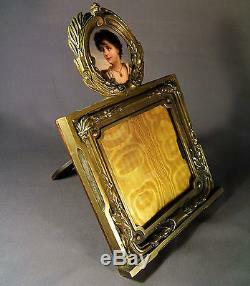 BACK AND AN EASEL STRUT STAND. IT MEASURES 10 5/8 (27cm) H Inc. THE OVAL x 6 3/4 (17.5cm) W APPROX; AND IS IN EXCELLENT CONDITION WITH NO DEFECT AT ALL TO REPORT APART FROM A MISSING SCREW TO THE WOODEN REVERSE AND ONE TO THE OVAL TOP (BOTH OF WHICH DON'T AT ALL ALTER THE LOOK OR USE OF THE FRAME) - SEE PHOTOGRAPHS AND DETAILS. 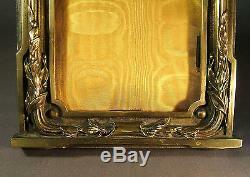 THIS IS A BEAUTIFUL LARGE AND VERY UNUSUAL PERIOD 19th CENTURY BRASS PICTURE FRAME IN EXCELLENT ORIGINAL CONDITION THAT WITH A REALISTIC YET STILL LOW START PRICE SHOULD INTEREST ALL COLLECTORS. A VERY KIND EBAYER HAS POINTED OUT THAT THIS IS A PORCELAIN PORTRAIT OF A BOY ENTITLED'THE NEAPOLITAN' WHICH IS AFTER THE GUSTAV KARL RICHTER (1803-84) ORIGINAL AND DATED TO 1870, WHILE THE KPM DEPICTION WAS DONE BY AN ARTIST NAMED HEFS? - I CAN'T FIND HIM. THERE IS NO RESERVE ON THIS SALE. ALMOST EVERYTHING I SELL IS IN THE CONDITION I HAVE BOUGHT IT, UNLESS OTHERWISE STATED, (I HAVE LEARNT TO MY COST IN THE PAST NOT TO TAMPER WITH AN ITEM), AND THEREFORE I HAVE NEITHER HAD ITEMS REPAIRED NOR RESTORED. I WILL ENDEAVOUR TO REPORT ON AN ITEM WHICH HAS HAD EITHER; HOWEVER I TAKE NO RESPONSIBILITY IF AN ITEM HAS BEEN TAMPERED WITH AND I CANNOT DETECT IT. PLEASE DON'T WASTE YOUR TIME ASKING FOR A B. I WILL DISPATCH GOODS ON CLEARANCE OF ANY OF THE ABOVE. I DO NOT ACCEPT - NON U. ALL PARCELS ARE WELL PACKED AND PROTECTED WITH STRONG BOXES, BUBBLE WRAP AND PACKAGING PEANUTS WHERE NECESSARY. SO PLEASE READ THEM CAREFULLY AS THEY ARE BINDING. DO NOT HESITATE TO CONTACT ME IF YOU NEED ADDITIONAL INFORMATION. The item "SUPERB LARGE 19th. 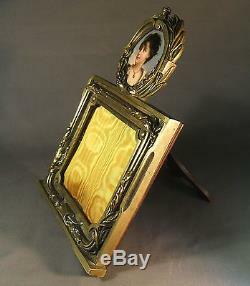 CENTURY PICTURE FRAME & HAND PAINTED PORCELAIN MINIATURE" is in sale since Tuesday, October 30, 2012. 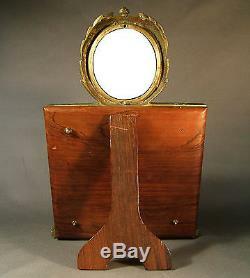 This item is in the category "Antiques\Decorative Arts". The seller is "rtzilla" and is located in London. This item can be shipped to all countries in Europe, all countries in continental Asia, United States, Canada, Australia.